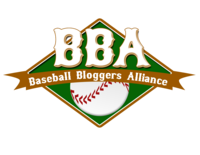 The Texas Rangers Blog - TTRB: How Many Ballgames Is Your Team Going To Win When They Score Zero Runs? How Many Ballgames Is Your Team Going To Win When They Score Zero Runs? Glass Half Empty / Afternoon Cloud: Not any, including today's game versus the Twins. The offense continued to struggle. Moreland wasted a base hit in the 3rd when he took WAY to big of turn around 1B, got caught in no man's land and was thrown out retreating to 1B. This was the latest example of the Rangers looking clueless on the base pads in this series in particular and generally this season. That's the first time this year the Rangers lost 2 in a row. Glass Half Full / Silver Lining: That's the first time this year the Rangers lost 2 in a row, which is quite an accomplishment since we're almost in May. Ogando looked good early (just like Holland did yesterday). Thoughts / Observations / Sidenotes: Even losing the last 2 games in MN, the Rangers split the series with the Twins. And the Rangers have yet to lose a series this year. You have to wonder if the pitching staff is looking at the position players and wondering if they're going to get any type of consistent run support. quit complaining. they are still in first.